For years I thought I had a pretty good grasp of what we collectively meant by 'curriculum'. It seemed to me that the most important curriculum decisions revolved around who taught Ancient Greece, who got Vikings and which poor teacher had to dress in a toga for the The Romans topic. The key characteristic of an outstanding broad and balanced curriculum was the number of themed days and special weeks a school ran. In recent years I have come to realise that my understanding of curriculum was somewhat lacking. And that is somewhat of an understatement. 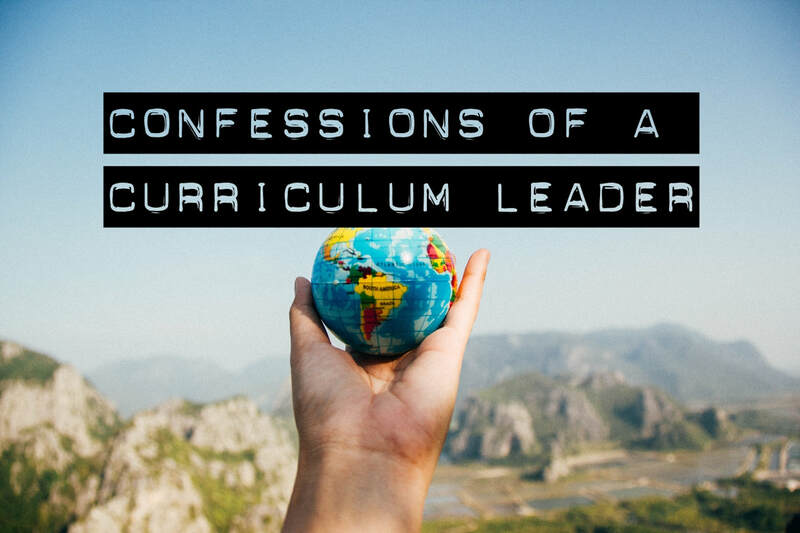 "...despite the fact that the curriculum is what is taught, there is little debate or reflection about it." Describe the social, cultural, or religious diversity of past society. Use dates and term accurately in describing the events. The problem here was that this didn't really tell anyone the detail of what they were supposed to actually teach and, more importantly, what exactly children were supposed to learn. Which, on reflection, was a bit of an oversight to say the least. Which sources of evidence did we actually want pupils to use? What were the specific deductions we wanted children to draw from these sources? Which particular aspects of social, cultural and religious diversity would be learned? Which defined characteristics of the past did we want children to grasp? Precisely which dates and terms did we want pupils to use accurately? As teachers moved year group, or as enthusiasm waned, the curriculum mutated from one year to the next with few checks on the new content being studied. With each teacher individually selecting the elements of the topic from a possible 20 or so contexts there were a dizzying number of permutations possible. Consider now that this was the case for every foundation subject in each half term taught over the year in all year groups. The amount of variation was staggering! How on earth were we going to ensure that abstract concepts such as 'peasantry' and 'parliament' were going to be well understood as pupils progressed through our barely defined History curriculum! How did we ensure that children built up 'an extended specialist vocabulary' in science? Well, we didn't really. 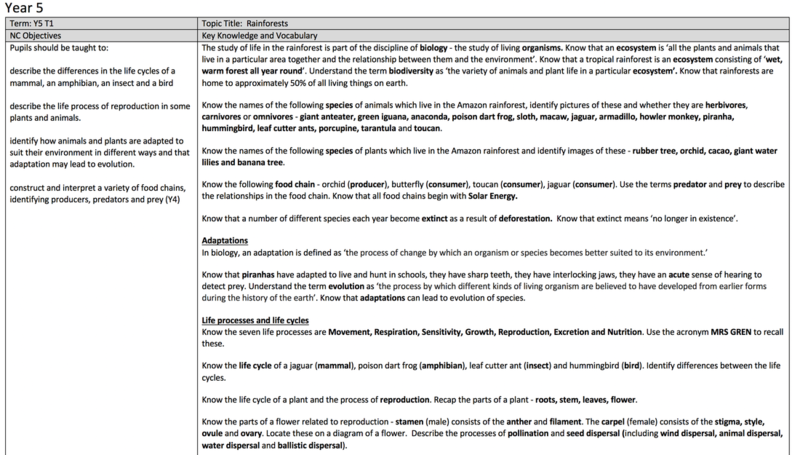 Teachers were free to choose the vocabulary being used and whether this was learned for the long term depended entirely on the teacher's individual emphasis and preferences. Without clear planning of the detail of the curriculum it was impossible to ensure that pupils had repeated exposure to abstract concepts in different contexts to ensure long term remembering. For example, with teachers using vague objectives in Design Technology such as "Choose suitable techniques to construct products" the embattled DT leader had little idea of the resources they needed to buy from one year to the next. If the content of the curriculum was not clearly defined it was very difficult to say if children were making good progress in geography or history for example. The idea that the curriculum is the progression model is a simple and powerful idea which is expertly explained in this blog by Michael Fordham. "If a student has learnt the curriculum, they have made progress." The caveat being that if the curriculum is not well planned then any claims about children's progress are likely to be built on sand. 5. The curriculum changed from year to year and was increasingly difficult to keep track of. Subtle changes in content from year to year dependent upon the interests and enthusiasms of individual teachers meant that we had a nebulous curriculum that was difficult to pin down. It was clear that we needed to spell out in meticulous detail the knowledge that we wanted teachers to teach and pupils to learn in each subject. So, that is what we have now started to do. It's a very simple idea at heart. We are writing down the knowledge and vocabulary we think children should know in each subject in the curriculum. Crucially, this is being completed by subject leaders responsible for planning the full sequence of learning in their own subjects. This work is then being drawn together and overseen by myself as curriculum leader. This approach will help us to determine what Clare Sealy describes brilliantly in this blog as vertical and diagonal links within the curriculum. Vertical links being those links within a particular subject from year to year (e.g. the concept of Empire in history taught through multiple topics). Diagonal links being those elusive links between different subjects in different year groups. This is best illustrated with Clare's example of the concept of a source being taught across the whole curriculum e.g. Each time the concept of a 'source' is revisited then the understanding becomes richer and more nuanced. 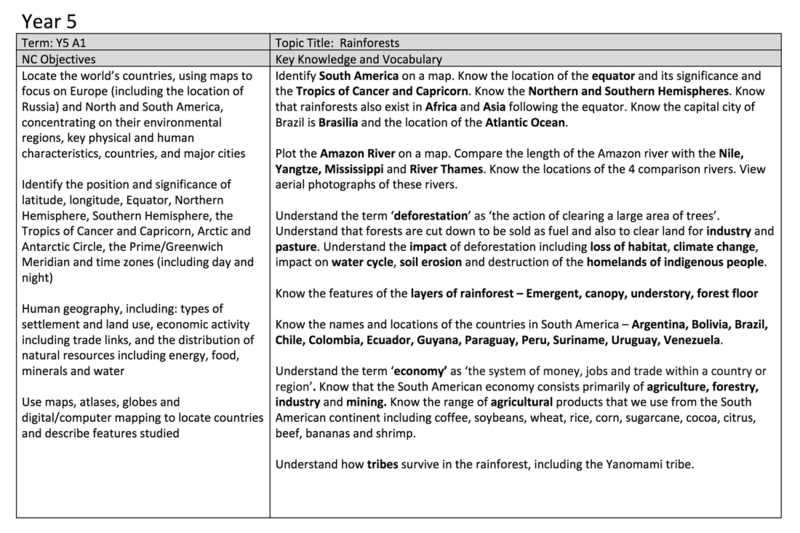 Here is an example of the geography knowledge that we want pupils to know by the end of the rainforest topic in Year 5. This represents a shift for us towards an increasingly knowledge-rich curriculum and I don't intend to argue the merits of this approach as others have done this more eloquently than I could (a good starting point would be either of the following two books - E.D. Hirsch's Why Knowledge Matters or Daisy Christodoulou's Seven Myths of Education). Aside from the impact we are confident this will have on children's learning, the process of spelling out a curriculum is certainly an interesting piece of professional development for subject leaders. As the curriculum redesign progresses we are confident that subject leaders will know their curriculum inside and out and have a greater understanding of standards in their subject. We can ensure that threads are woven carefully through the curriculum e.g. the concepts of 'parliament' and 'civilisation' will exist in multiple History units in different year groups to ensure they are remembered for the long term. We are just beginning this work but are excited by the potential of this project. I hope to blog about some more of the details of this approach in the near future. Finally, I wanted to say thank you to Adam Boxer, Mark Enser and Ben Newmark who have kindly offered their time to give us feedback on our Science, Geography and History units of work and their input has been tremendously helpful. No Written Marking. Job Done. I never really questioned the value of marking. It was something you just did. Of course, children need their books marking. What else are we supposed to do with them? Spending holidays catching up with marking that I had neglected was annoying but self-inflicted. Yes, I resented it but I knew it was my own fault for not using my time more effectively. When it came to light during an Ofsted inspection that a colleague hadn’t marked their books for six months we were all stunned. How on earth could you not mark your books? It was heresy! Like painting the Forth bridge, written marking is a seemingly never-ending task. As you complete that pile of books on a Sunday evening you know full well that Monday will bring a fresh new pile of books waiting to be analysed and responded to (possibly in a particular colour of ink and a range of highlighters). Marking is iconic. For many it is an impressive superstructure towering over teachers’ day to day lives. It stands firm and unmoving despite changes in the educational weather. The phrase ‘painting the Forth bridge’ passed into everyday use despite never being founded on evidence. Can we now begin to say the same for the convention of written marking? When the EEF toolkit was published, as a school, we fell into the trap that many did of conflating marking with feedback. This lead to an overemphasis on written marking at the expense of other forms of feedback. Written marking became king. We tinkered with the idea of dialogic marking where teachers responded to a pupil’s work, children responded to that response and so on ad infinitum. We were bolstered by the fact that our outcomes across school were rapidly improving so it seemed a reasonable assumption that our marking policy was part of this success. As I read more widely, I became aware that the marking we asked teachers to undertake was perhaps not having the impact we had convinced ourselves it was having. The words of Michaela Community School’s Deputy Headteacher, Joe Kirby, rang loudly in my ear “Written marking is useful for one child, once only”. 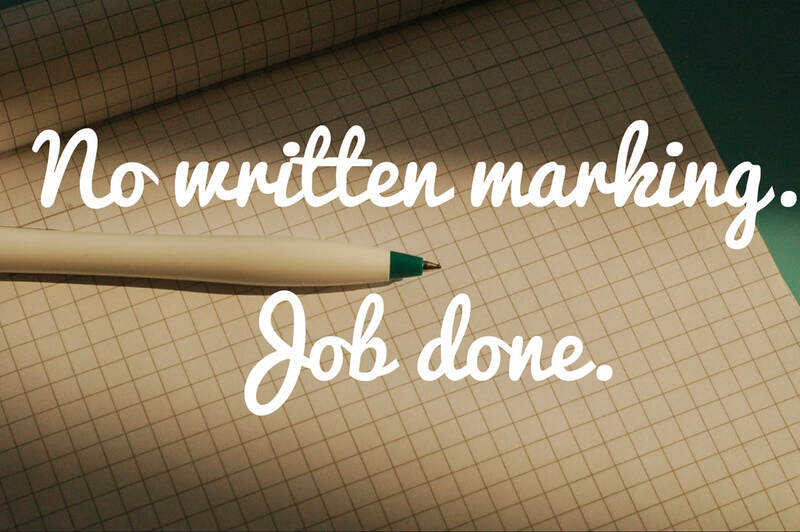 What if all the hours spent marking each week could be used for something else? And what if we could actually improve the quality of feedback to pupils without the Sisyphean task of written marking? 1. Was the quality of feedback really as good as it could be? Were children really able to understand how the teacher wanted them to improve from a brief written comment? Were teachers compromising their feedback, truncating complex ideas into short comments with child-friendly language? So far, so good. 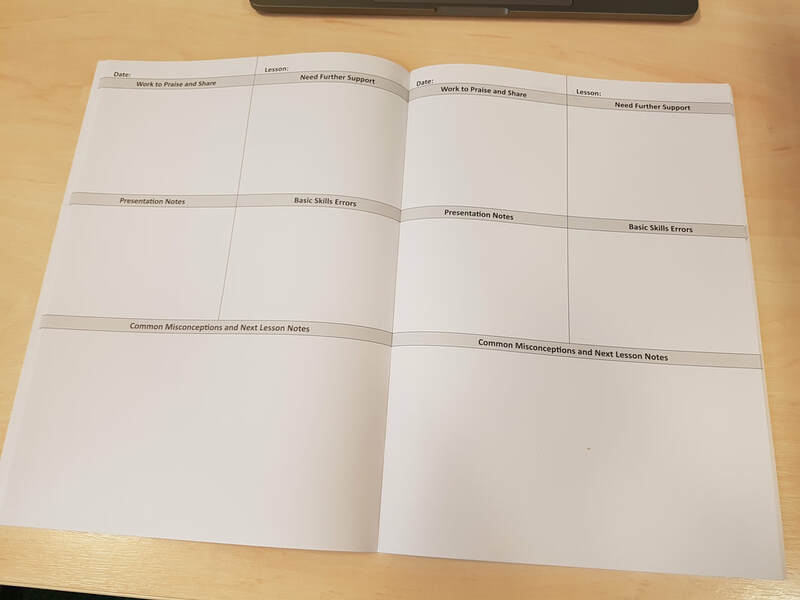 This book checking process should take no more than 15 minutes for a set of 30 books and where possible, children will have already marked their own work in the lesson to speed up this analysis (particularly in subjects like mathematics). After this, the teacher plans a whole class feedback session using the notes from the sheet as an aide-memoire. 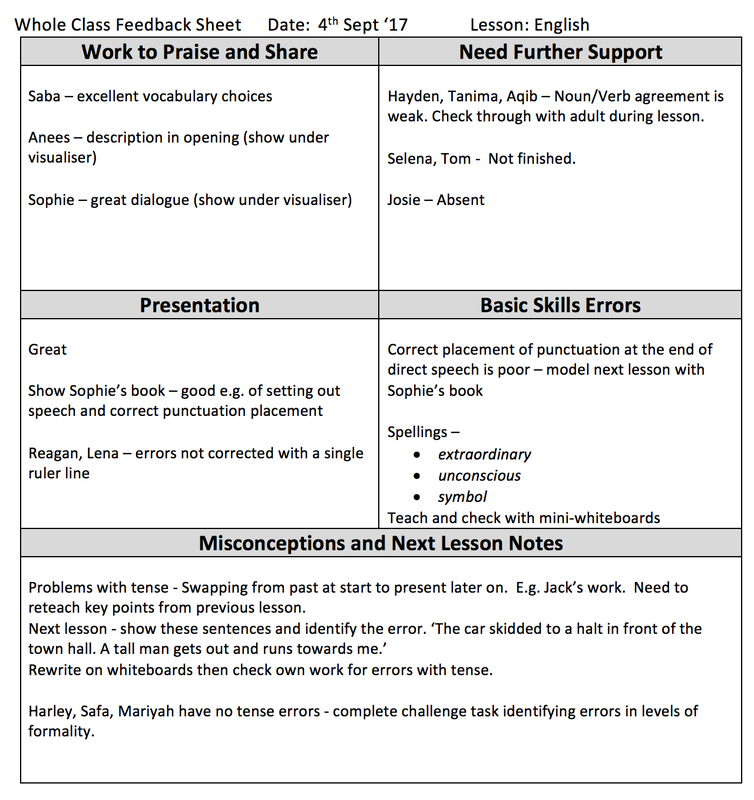 The start of the next lesson begins with the teacher sharing the best work (perhaps using a visualiser), identifying common errors in basic skills (e.g. spellings, number facts) and then addressing common misconceptions that have been identified. This session is flexible in how long it takes but a typical session might be ten minutes or so giving time for children to redress any misconceptions that had arisen and, where useful, check through their work and improve it based on the feedback given (bearing in mind the Dylan Wiliam quote from earlier). Let’s be clear, we are in no way pioneers of this approach. Many schools have gone before us and have thankfully blogged about their approaches with great clarity and conviction. In a way, it is reassuring that a ‘normal’ primary school like ours is able to make such a move away from established practices to improve the quality of feedback and reduce teachers’ workload. There is perhaps hope for other schools. Is a time coming when headteachers across the land might echo the words of Colin Hardie as he applied that final coat of durable epoxy paint to the Forth bridge? After posting this, I had a number of people asking what the whole class feedback forms looked like in practice. I tweeted some images of our teacher markbooks - Click the image of the tweet to have a look. After running our trial for a few weeks we have decided to make a change to the nomenclature for our approach. Instead of 'Whole Class Feedback Sheets/Sessions' we felt it better reflected what was actually happening in class to rename these as simply Feedback Sheets/Sessions. We ensure that verbal feedback before the next lesson meets the needs of individuals, groups and the whole class. For example, some teachers during the trial would feedback to individuals on entry to the class, briefly talk to any groups and then give the whole class feedback. Our new teacher feedback books arrived in school today (see picture). It appears that we are at a rare point in time in primary education where the DfE are actively seeking the views of the profession on what Michael Tidd calls the 'dog's breakfast' of primary assessment. According to Russell Hobby and others at the Learning First Chester conference on 13th May 2017, the government are 'in listening mode', having realised that attempts to create a robust and fair accountability system are more challenging than they first seemed. In order to gather the views of the profession, a DfE consultation on primary assessment was launched on 30 March 2017. The consultation closes on 22nd June 2017 and I suppose I am writing this to encourage anyone with a vested interest in the outcomes to put their views forward. I initially attempted to complete the online survey (Link) a few weeks ago and was put off by the initial questions about Reception baseline. I felt that I just didn't have enough information to give an informed view on it and wondered if others might fall at this first hurdle. On my second attempt, I was keen to get through to the questions that I wanted to give my opinion on so I didn't get bogged down with the feeling that I needed to give an erudite response for every aspect. For some questions I gave a brief answer or simply declared I had no strong opinion on the matter. For most primary teachers there will be something within the consultation that should pique your interest and have a direct impact on your job. Given that time is a precious commodity, I think it is perfectly reasonable to skip a few questions here and there in order to give your opinion on what matters to you. If you take this approach you can be in and out of the survey in 5-10 minutes and you can rest easy that you have contributed to preparing a more satisfactory 'breakfast' to sustain us in the future. The full text of the questions is provided below and the consultation can be completed here.